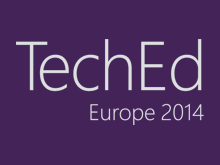 Come to this session to see how Microsoft and our hardware partners are providing you the ability to have high-availability solutions that you can afford to purchase and deploy. With last year’s release of Windows Server 2012, Microsoft’s hardware partners announced their plans for shipping Cluster in a Box systems. These systems combine server blades, shared storage, internal cabling, and redundant power supplies into a single chassis targeted at the volume server market. In this session, we show actual, shipping hardware and present detailed case studies of how real customers are using these new systems to solve their business needs. We show you detailed system configurations and in-depth workload and performance analysis so you can understand exactly how these experiences relate to your own requirements. 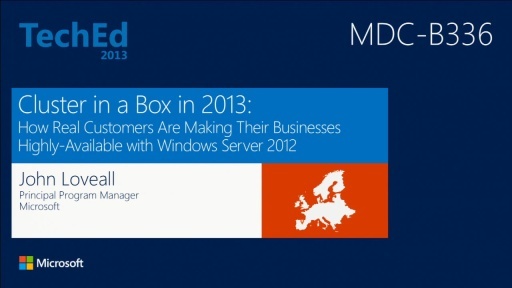 Come get all the information you need to add availability to your business with Windows Server 2012.